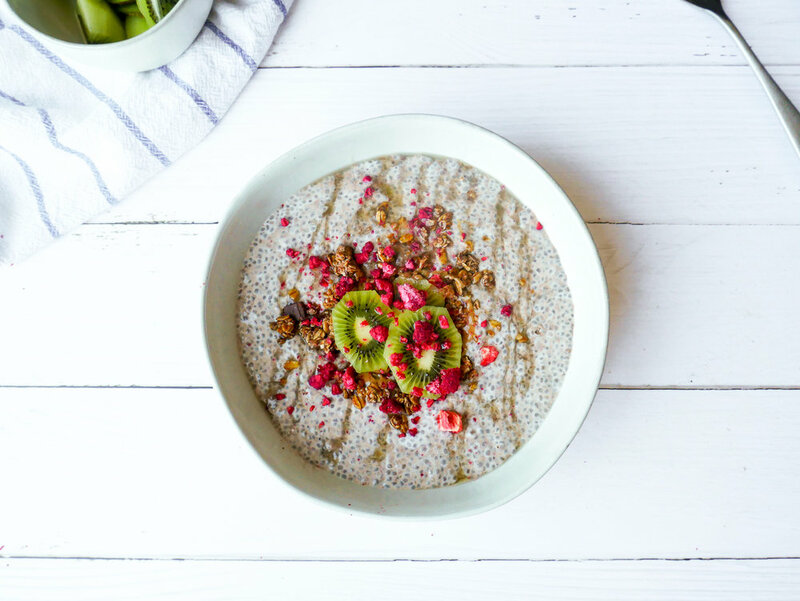 The best thing about chia puddings is that they are best made the night before you eat them so that the flavors have had time to soak into the milk and the milk has soaked into the chia seeds - therefore, no fussing about in the morning thinking of what to eat or running out of time, your breakfast is already done. I’ve added a serving of protein powder to this recipe for an extra boost of flavor and added protein to keep me fuller for longer. Get creative with your toppings, add nuts and seeds, granola, fruit, or yogurt. These last a few days in the fridge so you can make 3 - 4 serves at once and you have breakfast covered for half of the week. In a medium bowl combine the chia seeds and milk. Place in the fridge overnight. In the morning, stir in the protein powder and top with toppings of choice.